We live in a world, where our population comprises of maximum talented youths. But the sad part may be that their lifestyle is confined only to gizmo gadgets, discos, pubs and alcohols. Activities like night outs, lounging in the pubs, unnecessary show offs by smoking and drinking have become very common elements of urban lifestyles. However, it is a matter of concern that these malpractices are the principal causes of increasing health issues of the society. Today, alcohol is widely available and aggressively promoted throughout our society; and continues to be regarded as a normal part of routine lifestyle. However those who are indulging into unnecessary addictions should note that even a small amount of alcohol can have serious effects on your body. The studies have proved that even passive smoking, for that matter can cause life threatening complications to your near and dear ones. While risking your health, liver is the one which is less immune to your alcohol adventure. The liver is a large organ who plays vital role in your body. It filters the blood of toxins, breaks down proteins, and creates bile to help the body absorb fat. When a person drinks alcohol heavily on a regular basis, the body starts to replace the liver’s healthy tissue with scarred tissue. And this is called alcoholic liver cirrhosis, which leads to a situation where your liver will stop functioning properly. Whatever is the reason behind being alcoholic, once you start, it is obvious to face number of potential health risks. Studies are evident to prove that young people who drink heavily may put themselves at risk for a range of potential health problems. 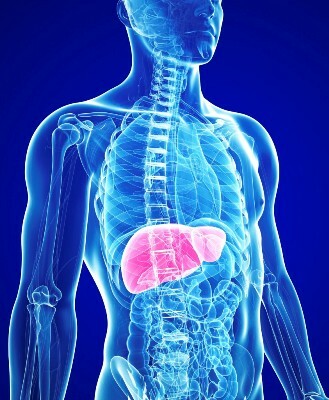 It has been evident that between 10 and 20 percent of heavy drinkers develop liver cirrhosis. Alcoholic liver cirrhosis is the most advanced form of liver disease that’s related to drinking alcohol. The disease may start with a fatty liver and leads to the progressive damage of liver; ultimately causing liver cirrhosis. In general, the condition can be diagnosed with the physical examination or blood tests; however liver biopsy is generally performed to find out the level of tissue scarring. Although the liver cirrhosis is generally referred as the chronic stage of liver failure and liver transplantation with the matched donor is the only possible treatment for the same so far available. With the advent of stem cells technology, some positive changes have been observed for the patients who have been suffering from the diseases. Stem cells are the naive cells of the body, which can be differentiated to become any cells, if treated with proper growth conditions. This remarkable potential of stem cells has been exploited by the medical science as a possible cure for a variety of debilitating diseases. Researchers have observed positive differentiation of stem cells in hepatic lineages and thus restoration of liver function back to a great extent. This was evident with improved liver function diagnostic tests. At Advancells, they are exploiting the most potent stem cells isolated from patients own bone marrow or adipose tissue or may be both depending upon the assessment. They are providing very comprehensive, individualized treatment pattern, which is best suited for the patients undergoing treatment. In about 2/3rd of the patients, they have observed long lasting improvements in liver function, causing less tiredness, increased secretion of liver enzymes.